HALLELUJAH! After some seriously prolonged contract negotiations, the Chicago Bears and their Pro Bowl running back Matt Forte have finally agreed to terms on a 4-year deal worth approximately $32 million reported ESPN Chicago. Of course the Bears cut things close with Forte as they had a 3 PM deadline on Monday to avoid any franchise tag nastiness. Back in March the Bears slapped Forte with their franchise tag and secured the young star would be in a Chicago uniform for the 2012 season – it didn’t really go over too well as Forte was looking for the lucrative deal former GM Jerry Angelo had promised. 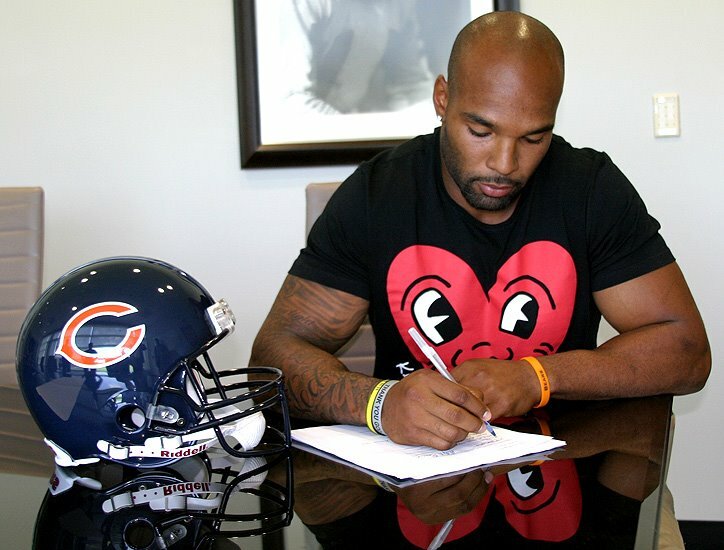 The one-year agreement would have paid Forte $7.7 million for this season — a $7.1 million raise from his 2011 salary. In the end, the franchise tag ended up being a handy negotiating tool for the running back as he secured about $8 million a year. Forte finished his fourth season with 1,487 yards from scrimmage and 997 rushing – he would have had even higher numbers had he not sprained his MCL in December of 2011. Forte is now healthy and making the big bucks, it’s time for him to produce his best numbers yet. The NFC is one of the most competitive conferences in the entire NFL and Chicago needed to make some serious offensive adjustments to compete with the rivaled Green Bay Packera and Detroit Lions. In the off season, the Bears picked up some more offensive weapons and a team who souly relied on their defense finally has some key players to produce points offensively. Now, if we can just tighten up that offensive line, we may really have something here. 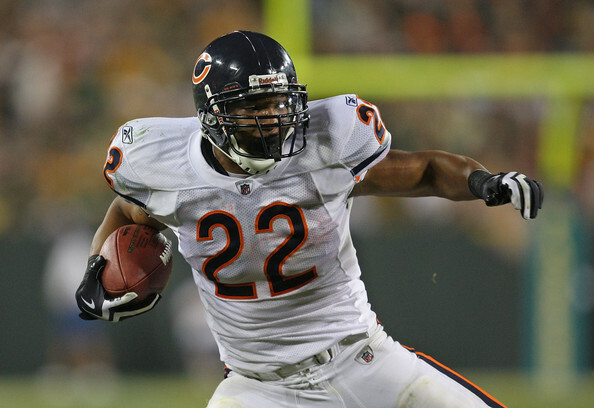 Running Back – Matt Forte with Michael Bush as backup. Tight End – Kellen Davis (Mike Tice, the new offensive coordinator has a tendency to utilize his tight ends – which Mike Martz didn’t ever do). The ongoing “Pay Forte” drama has been put to rest and now it’s time to focus on the resurgence of “Da Bears” and making things rain in the Central division. Let’s go!